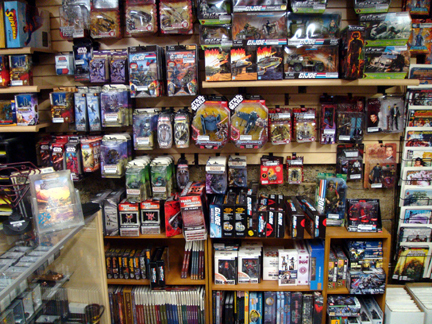 The following is an older interview with Ethan Peacock of Elfsar Toys & Games, a finalist for the Harry Kremer Award for Retailer of the Year. 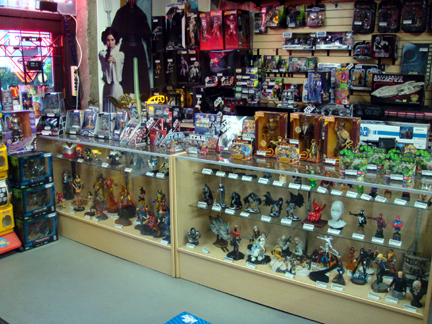 A good looking store that has done well focusing on comics, while dabbling in niche markets such as urban toys and action figures and at one time, Elfsar ran an art gallery. There are two things. First, it’s synonym for the names of all parties involved. Some of my investors wanted to remain anonymous and so therefore we created a name that allowed us to register for both a business license and domain name with ease and incorporate the initials of all the people who put up the money so to speak. Here is a hint on 2 of them, the ‘E’ is for Ethan (me) and the ‘S’ is for my partner, both in life and business, Sareina. Second, and this is kind of silly and soooo totally “Geek”, but for me, ELFSAR actually comes from my past experience playing video games. Back in the day, I was a pretty avid video game player. I still sneak away to play games today, but not nearly as much as I used to be able to. Now I may be showing my age a tiny bit, but the old games I used to play only allowed 3 letters to be used ‘_ _ _’ to rank your high score. I, along with a few close friends, was a large fan of a game called ‘Gauntlet’ where 4 players, a barbarian, valkyrie, wizard & elf) could all play at the same time on the same screen. (Yes, although it is commonplace now, it was a big deal back then.) I always seemed to end up being the speedy Elf, not sure why, and every time I was called upon to enter my 3 digits to rank my high score, I, for better lack of an imagination, used “E L F”. For no known reason other than habit, I continued to use the name for every game I played. On the flip side, my partner to be, Sareina, an old-school master of Ms. Pac-Man in her youth, used her initials “S A R” to rank her 3 digit high score. Fast-forward a bit to a time when video games became a little more complex and actually allowed you to use more than 3 digits. Sareina and I used to play adventure games together and it became only natural that we would combine both our 3 digits and the player name “E L F S A R” was born. In fact, it became so commonly used for a multiple joint projects that we worked together on that we really just got used to using the created word/name. What are you excited about for this coming year? I am simply super excited to be contacted by the Shuster Awards (ed note: as a finalist for the Retailer of the Year at the 2009 awards). If we are chosen for the honor to be named with the other elite Canadian Comic Stores we will be waving the flag and advertising the Shuster Banner all over our website and store signage. It would be an honor to carry the torch. Oh …wait, you probably meant comics. Well so far Blackest Nnight has been off to a great start and I am really looking forward to Miracle Man being back in comics. We are going to overhaul our back issue bins to be relocated in the middle of our store so that we can add more single issues and cut down on restock times. We also figured out a way to use them as additional gaming tables by making covers that will provide more gaming space. I am very fortunate that I am in a position to still be able to donate $300 of graphic novels to low income families every month through the City of Vancouver. Also seeing the faces of kids experiencing comics for the first time is hard to beat as well. It reminds me why I am a comic retailer. Well it is a toss up between opening a new store with a customer base of zero and making it work, or creating our own POS (point of sale) system. I would have to say opening the store. Sareina and I stayed open everyday from 10am to 9pm for the first 6 months, which was a brutal experience, as we could not afford to have a potential customer walk by and not be able to come in. Elfsar almost folded in month 3 as we had maxed out credit cards and exhausted every loan, but luckily our customer orders started to come in and we just got by. Out of sheer love for comics and utter frustration with other stores. 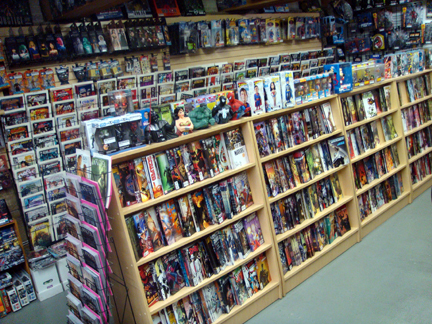 I was simply unsatisfied with the current comic retail stores and how they treated their customers to the point that I decided to open my own. How hard could it be? I was naive as to how much work it was and I took a big financial risk that, luckily, panned out. 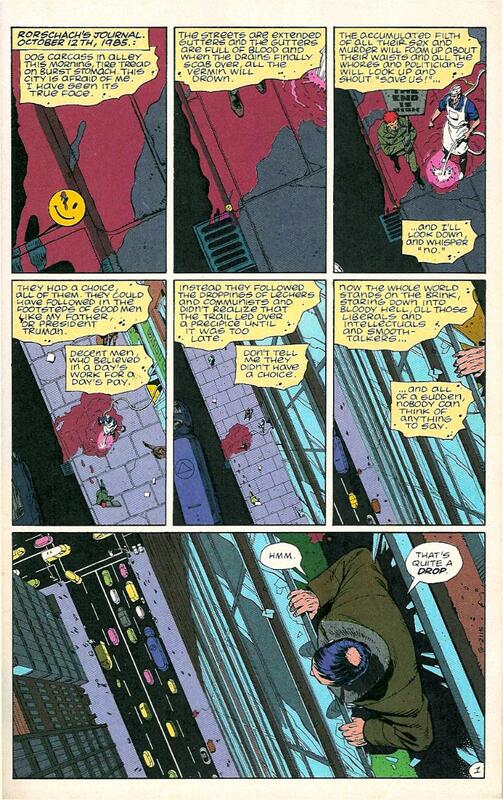 What are your Best selling floppy comic books? Currently Amazing Spider-man, Blackest Night, Wednesday Comics & Buffy. These questions are really hard to answer as we will recommend different things to different individuals depending on what kind/genre of story they want to read, or what kind of artwork they might be interested in, or TV/Movies they have enjoyed in the past. 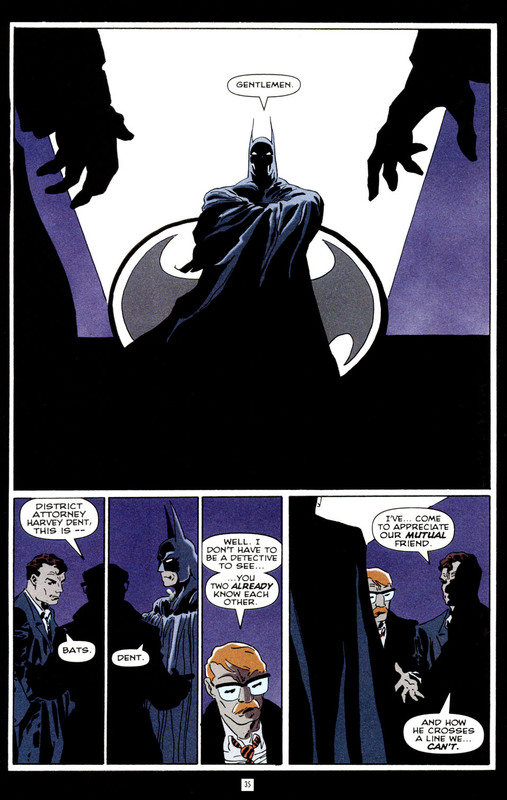 It is a lot easier now than it used to be as there are more graphic novels to choose from and a lot more shared talent between TV/Movies/Video games/ that are experimenting with comics. Likewise there are a lot of talented writers who are now working in TV/Movies/Video games/. I think it is a positive revolving doorway that benefits both mediums. I have found the biggest shock to adults returning to comics is the noticeable change in the colouring process and how the artwork is so much more lavish than they remember. For those looking for good Superhero team comics (if they are an old Marvel fan) I would turn to the House of M TPB, or Ultimates Vol 1 TPB, or Astonishing X-men Vol TPB. For solo Superheroes I would recommend Thor (by Stracynski) Vol 1, Planet Hulk, or Immortal Iron Fist Vol 1. 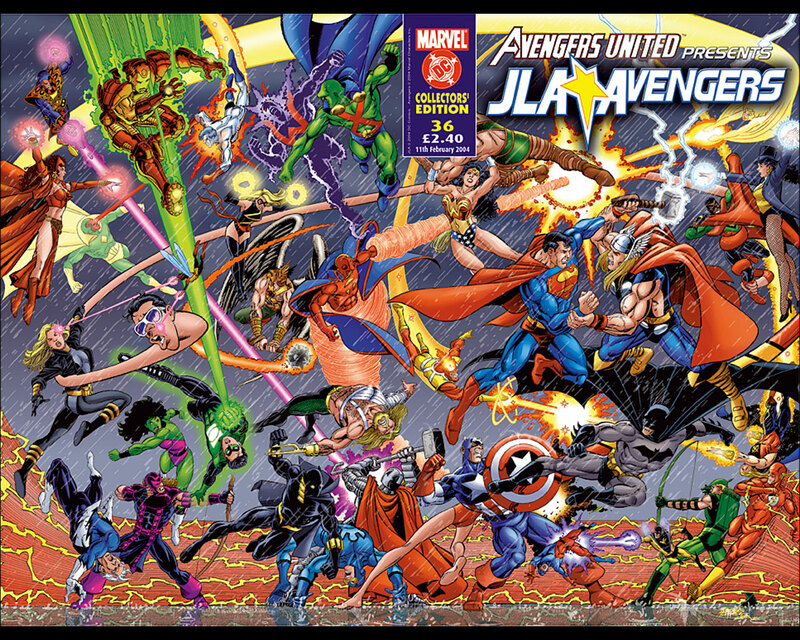 For old DC fans, I would recommend Kingdom Come, or JLA vol 1 (by Morrison), or 52 Vol 1. For single heroes adventures I would choose, Superman Red Son, or Green Lantern Rebirth, or Joker HC. But there are also so many others like Invincible from Image Comics or Conan from Dark Horse or The Boys from Dynamite Entertainment (if they want more a more mature read). 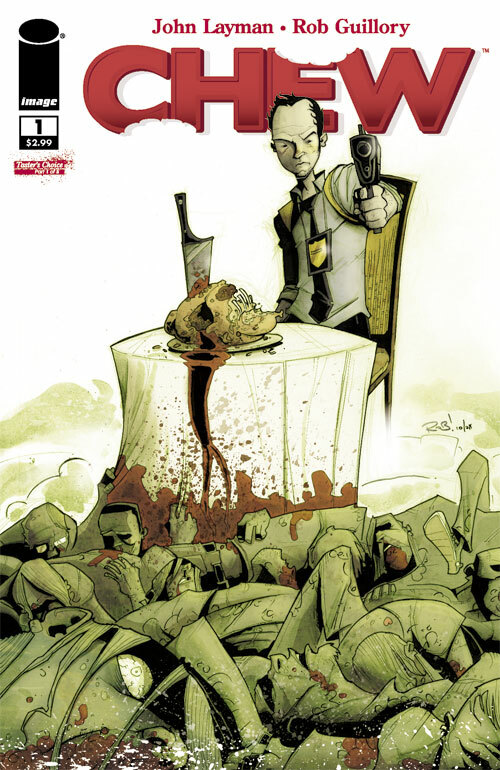 Now for non-superhero books (again depending on genre) for Noir/crime I would turn to Criminal Vol 1, for Sci-fi I would choose Y the Last Man Vol 1, for fantasy Fables Vol 1, for Horror I would choose Walking Dead Vol 1 and I am also a big fan of the Fell. DC has some wonderful books that give you the first issue of a bunch of different stories in their Vertigo section (First Cut, First Offenses & First Taste). I think it is very important to have a good web presence with more things than just your product for sale. First off, your customers are more than likely web-savvy. They will research a product to see if they can get it locally and not have to turn to ebay. Most tourists also research an area before they visit and I know a lot of them plan there trip in advance so providing a solid website that represents you and the industry is a must. But for me, it is also about setting the example that it is the responsibility of the business to give back to the community that we are privileged to have a business within. Elfsar is certainly not the biggest store (only 2,300 square feet), nor are we the oldest, and we certainly don’t make the most money, but we are an active participant in giving back to our community. Also the web gives us a chance to let our customers know what we think of what is being offered each and every month (see Elfbytes) We also have a presence on Facebook, Flickr, Myspace, Youtube, & we have our own blog. Does your store have an area of expertise? 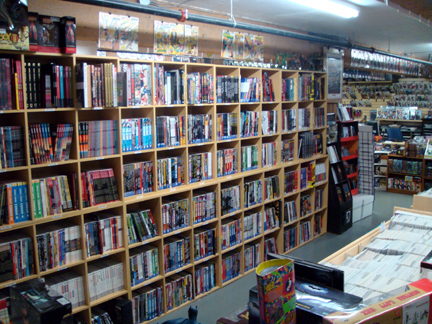 Our #1 business is comics; however our graphic novel section is #2 and gaining at a steady rate. Our staff members are all active readers and are quite knowledgeable about a number of books. It also comes from having a very low turnover as some of our staff has been with us from our opening in May of 2003. I am sure every store in the top 20 (for Retailer of the Year consideration) have elaborate inventory and offer a discount service so I won’t say it makes us unique. 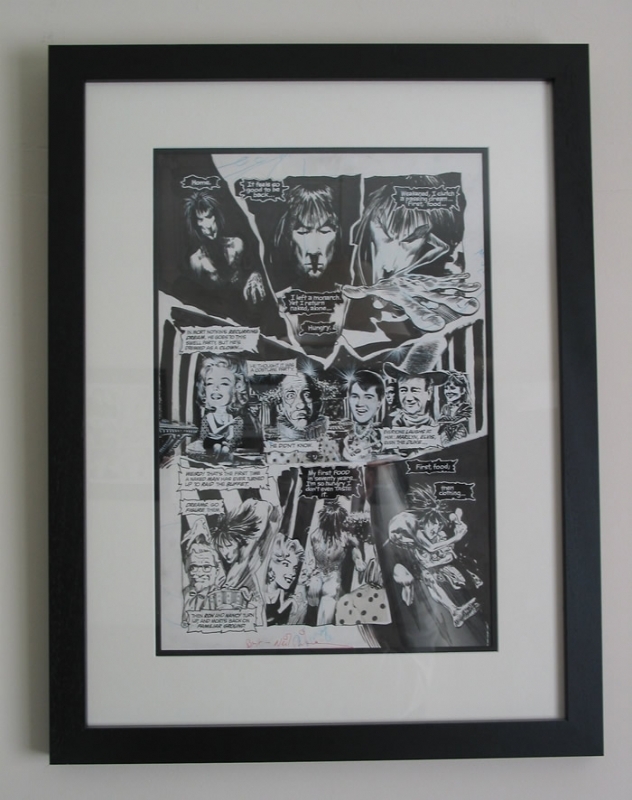 When Elfsar first launched we opened it as an experiment to see if Low Brow Art and High Brow Art could co-exist. (Plus at first, we did not have enough product to fill the place.) 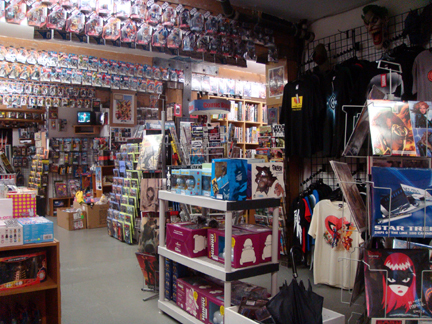 On one side we were a comic and toy pop culture store and on the other we operated a modern art gallery. We closed the gallery after about a year and a half. Construction started on a new Shoppers Drugmart which moved in the same building right above us. This caused a lot of obstacles for us to maintain and operate the gallery but after two years we were ready to expand into the other space and expand our graphic novel section. What makes us really unique is that we have created our own POS (point of sale) system to fit out needs. It is a combination of an axis program and excel. Sareina has some programming experience and this POS system was tailored to Diamond. The original POS system that we bought from Staples crapped out on us at the 2 year mark. It was a system that had a limit (unbeknownst to us) of only 20,000 items. We were faced with the choice to adapt or fold and Sareina managed to create a skeleton system so that we could keep track of inventory and get by. The POS has evolved ever since. Our customers love the fact that our system will warn them if they have picked up a title or issue before as we can tell them the exact date and time they purchased it. It has gotten rid of the accidental double purchase that frequents other shops. I love the fact that it tracks the sale history for each unique person it also allows us to make informed recommendations specifically tailored to each customer and their tastes. 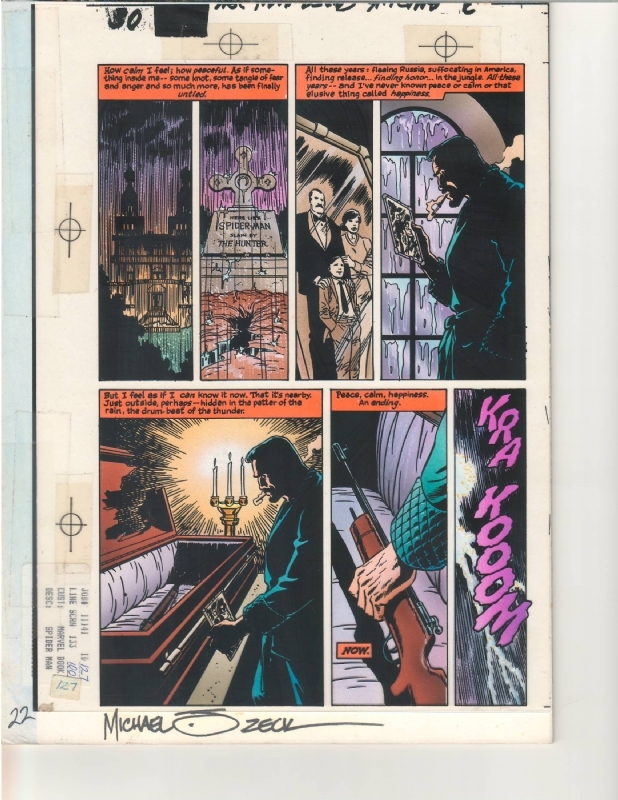 Another thing that we do is make story sets out of our leftover single issues and sell them in a pack at a discount. Not everything is available in graphic novels yet and our customers really like not having to search for that one missing issue. 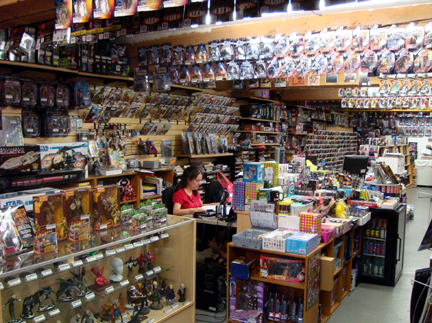 To be honest when I first moved to Vancouver I was not impressed with the Vancouver comic community. 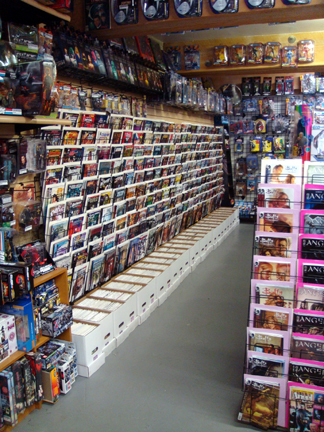 I had some really bad experiences at other stores and the local comic cons (that were really more like flea markets). It was honestly one of the reasons why I wanted to open a store here. 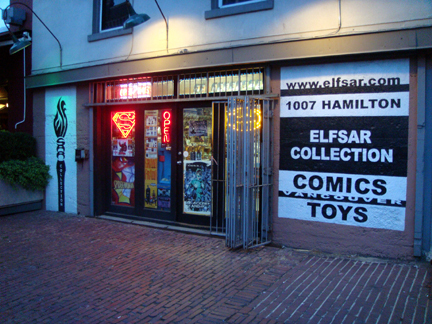 Elfsar actively participates in non-profit events trying to strengthen our comic community by hosting creator signings, hosting 24 hour comic book day challenge marathons, and we feature local comic talent with underground zines and self published work in the center of our store. We have done numerous events with Vancouvers largest comic Publisher Arcana Studios. Getting our customers involved in fun events has also help strengthen our community like Rockband competitions, DVD release parties, making mini movies. Of course FCBD is when we throw a mini-Comic-Con for the public. We help advertise events in our area on our website and always have flyers in our store at any given time advertising local and non-local events. Absolutely! We actually have a bit of a reputation for throwing a very BIG event. FCBD to me is the best day to shine as a store. We have linked our FCBD celebrations with Charity fundraisers. It’s more than just about giving away free books. We have earned a reputation for having the largest FCBD celebration in British Columbia and this year we gave away over 10,000 comics for free and raised over 3 times the amount that we did the previous year ($1,400.00 in donations and 25 full boxes of food) for the Vancouver Food Bank. That sense of comic community that was lacking when I first moved to Vancouver is now alive and well at our store thanks to our repeat customers. So I guess in a way I am most proud of them. They make coming to work a joy and the great geek conversations are the highlight every day for me. I have learned so much since our opening in 2003 and hope to continue to do so as our customer base grows every year. FCBD by far is the best promotion ever. For the past two years we have linked to our local theatre to make the premiere a big event and they have helps us get the word out about FCBD. Now FCBD does leave a large shadow to follow but aside from that event I would have to say our Heroclix games that we play weekly at the store have been the most enjoyable. We even created a Championship belt in honor of our Heroclix judge which has been used as a trophy to reward the excellence in gameplay. Our D&D game nights are fun as well (but this is normally done after store hours with a small group of people.) I personally like our Halloween events as we give comics as well as candy out to kids and the costumes are always great. It has definitely helped the public add more connection and familiarity with certain properties. Sometimes for the better (Watchmen, Iron Man) and sometimes for the worse (Ghost Rider, League of Extraordinary Gentlemen). It is our job to showcase what these films were based on for those interested in seeking out a more immersive experience and make suggestions about other stories to expand their reading. It is why we are a specialized medium and can offer a service that places like Chapters can’t. Only when it is not a level playing field. It is certainly not fair for a large bookstore chain to be able to carry a product and then return any unsold copies when we keep what we buy. You have to really know your product or you could go out of business with a couple of really bad judgment calls.